The Parliament will convene for four consecutive days starting from this afternoon to Friday. Speaker Karu Jayasuriya will today receive the report of the Special Parliamentary Committee that investigated into the unruly incidents in the Chamber on November 14, 15 and 16. Deputy Speaker Ananda Kumarasiri told the Daily News that the report would be handed over to the Speaker prior to the commencement of the sittings. The Committee, chaired by the Deputy Speaker, finalised the report last week. The Speaker is expected to forward the report to the Attorney General to take legal action against the MPs responsible for the unruly incidents under the Parliament Powers and Privileges Act. 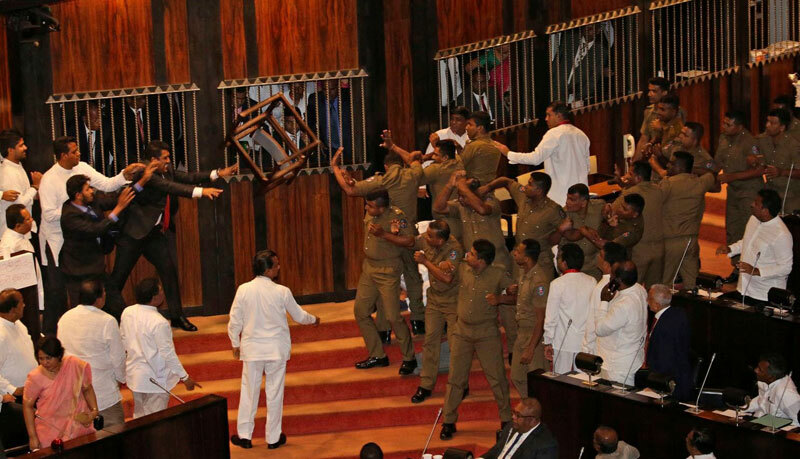 The Deputy Speaker said that the report has identified the MPs who were directly involved in the unruly incidents in the Chamber.